Many a poet has reminded us that we cannot take our wealth with us when we pass on. While it may sound a bit morbid, it’s always good to focus on your legacy. What will you be remembered for whether that happens to be tomorrow or fifty years from now? Ka’ala Farm is a great cause to add to your legacy. Members who donate $5,000 or more will have a tree planted at Ka’ala Farm with a metal engraving at the base of the tree acknowledging their contribution to the future. Ka’ala Farm is always looking for farm equipment to help us expand and cultivate the land. Your farm hand-me-down or new equipment can make a difference that lasts for decades. Because we are a non-profit organization, you can usually write off your donation and receive tax benefits! 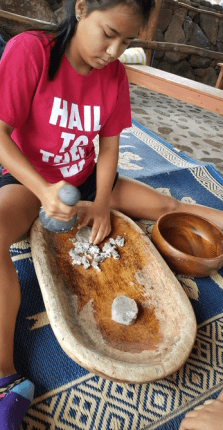 Ka’ala Farm is always in need of volunteers. Whether your roll up your pants and get in the fields with us or you lend your expertise, all contributions are welcome. Help us make a difference in children and community lives today!